AANW’s latest billboard went up in December 2012 and will be displayed in three locations for six months. This discussion on MSNBC’s Morning Joe program took place in the morning after the tragic events in Libya on of Sept. 11, 2012. Joe Klein provided sober and informed commentary about the prospects of war with Iran, as well as the seeming efforts to influence US politics by the Israeli prime minister. Klein has visited Iran several times. Between 4 and 6 pm on Friday August 3, as the temperature hit a record-matching 113 degrees, 26 AANW members and friends stood with signs and banners, waving to hundreds of passers-by. It was the first day of “no-tax weekend” so we were thrilled to be at the busy intersection of Penn and Northwest Expressway, near Penn Square Mall. The event featured banners and signs with the artwork from our billboards campaign. You and/or you group can still sign on as endorsers or co-sponsors of the advocacy effort or donate to help defray the costs. A news conference scheduled for 9:30 a.m., Tuesday, July 10, will be held in the State Capitol 4th floor press room, #432B, to announce the billboards, the Oklahoma City metro area locations, and to present the coalition of churches, organizations and individuals cosponsoring, endorsing and funding the project. AANW is a group of concerned citizens that has met weekly since February in central Oklahoma to take actions expressing concern about increasingly inflammatory rhetoric that could spark military action and war against Iran. AANW’s projects have been endorsed or cosponsored by a growing number of Oklahoma churches, organizations and individuals lending their voices to calls for restraint and patience to let the negotiations process go forward. Speakers at the news conference are to include Dr. Katherine Scheirman, Col. USAF (ret); Rev. Bruce Prescott, Executive Director, Mainstream Oklahoma Baptists; Bob Lemon, Oklahoma City philanthropist and human rights activist; and John Scripsick, Gold Star father whose son was killed in Iraq. Batchelder will emcee the news conference. “Our generals and Secretary of Defense confirm that Iran is not building nuclear bombs,” said Jalal Farzaneh, AANW member and resident of Norman, Oklahoma. “We ask Congress to say no to a war on Iran based on faulty intelligence, and to not put our troops in harm’s way. This war will not serve America’s interests,” he said. Some of the churches and organizations endorsing or supporting the project include Mayflower Congregational Church, UCC; Church of the Open Arms, UCC; Joy Mennonite Church; First Unitarian Church of Oklahoma City; Tulsa Peace Fellowship; Oscar Romero Catholic Worker House; National Lawyers Guild, Oklahoma Chapter; Peace Education Institute; Oklahoma Center for Conscience and Peace Research; and others. Individuals supporting or endorsing the billboard project include: Oklahoma State Senator Constance Johnson; Bill Bryant, President United Nations Association of OKC; Martha Skeeters, PhD, University of Oklahoma Associate Professor; Kenneth Meador, Iraq war veteran; and many others. AANW believes that the prominent public voices calling for war are ill advised, and that Congress and the American public should carefully examine the motivations and arguments behind calls for military action. “War has profound consequences to our economy and families not felt by media pundits and hawks in Congress whose bellicose words can make war sound like a reasonable option,” Batchelder said. 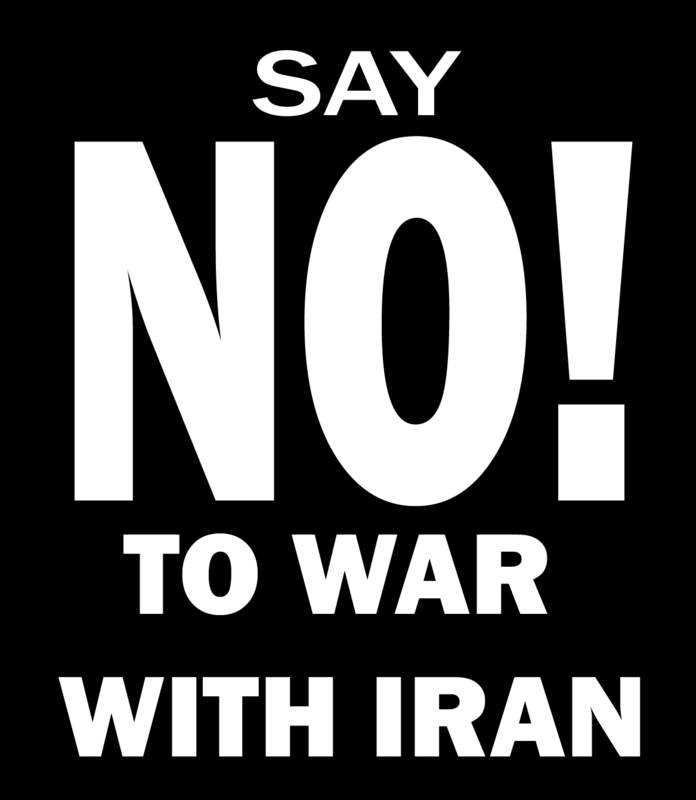 The “No War On Iran” billboard locations in the metro area are: on I-35, north of SE 15, east side of the road facing north; on I-35, 1/2 mile north of Britton road, west side of road facing south; and on I-40, west of Yukon (Clarence Page airport), north side of road, facing west. For more information and a larger list of endorsements, visit the website: http://www.AmericansAgainstTheNextWar.org.